I wanted to use my love of donkeys to create more than just a toy. 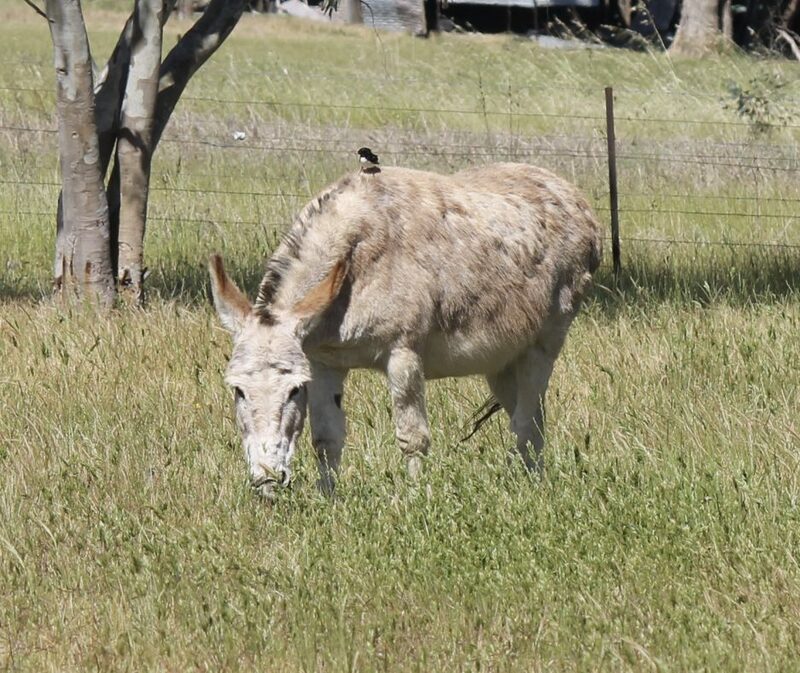 Since donkeys represent peace, i hope your donkey will inspire you to find your own inner peace, and pass that peace on to others you meet throughout your journey in life. This lovely donkey is made from quality cotton fabric, has blue eyes, and features hand stitched crosses along the back. It is stuffed with polyester fill and stands Approximately 28cm tall. 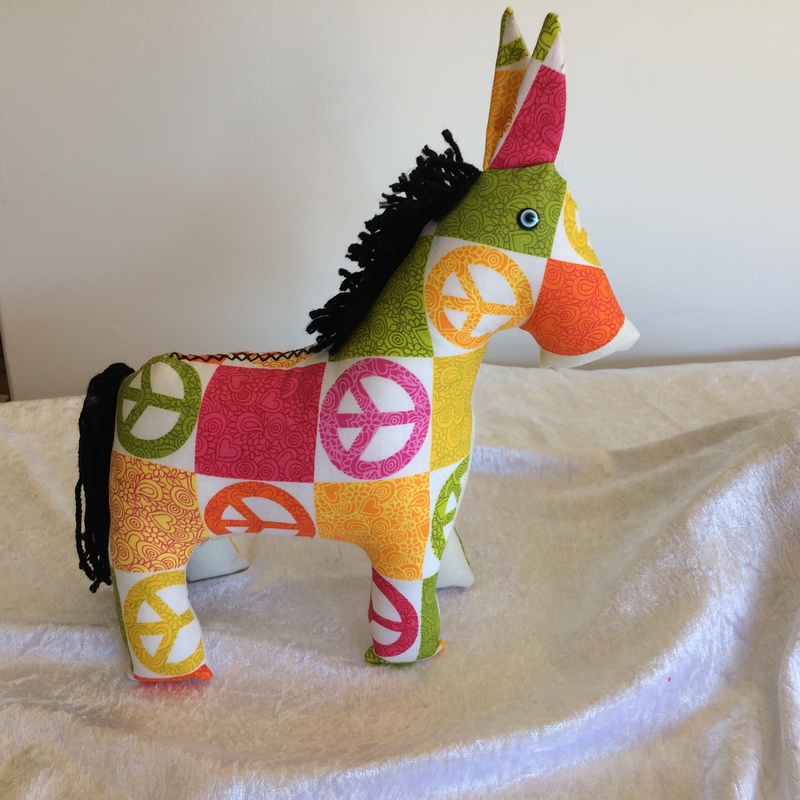 This lovely peace donkey would make a great gift for children (big or small), a nice bed decoration, and would also be a useful addition to any therapists toolbox for working with children in play therapy. WANT TO SAVE ON POSTAGE?? FREE PICK UP FROM COROWA NSW AUSTRALIA. If you have ordered multiple items, and the post office charges me less for your package and postage fee than you paid, I will refund the difference, as it is sometimes difficult to calculate. I often undercharge, but if I overcharge I will refund.